Dr. Kingsbury has a Master of Arts degree in geography from Simon Fraser University in Canada and a Master of Science degree in international ecological agriculture from the University of Kassel in Germany. His PhD in geography came from the University of Hawaii at Manoa where he focused on the grape and wine industries of Japan. Dr. Kingsbury was an Assistant Professor of Geography for five years at a university in rural North Dakota before coming to Maine Maritime Academy in 2018. He serves as a volunteer research advisor for the Agriculture and Forestry Research & Development Center for Mountainous Regions in Vietnam, and has been involved in agricultural and/or development research in Japan, Vietnam, Taiwan, Myanmar, Mongolia, Germany, Romania, Canada, and the United States. 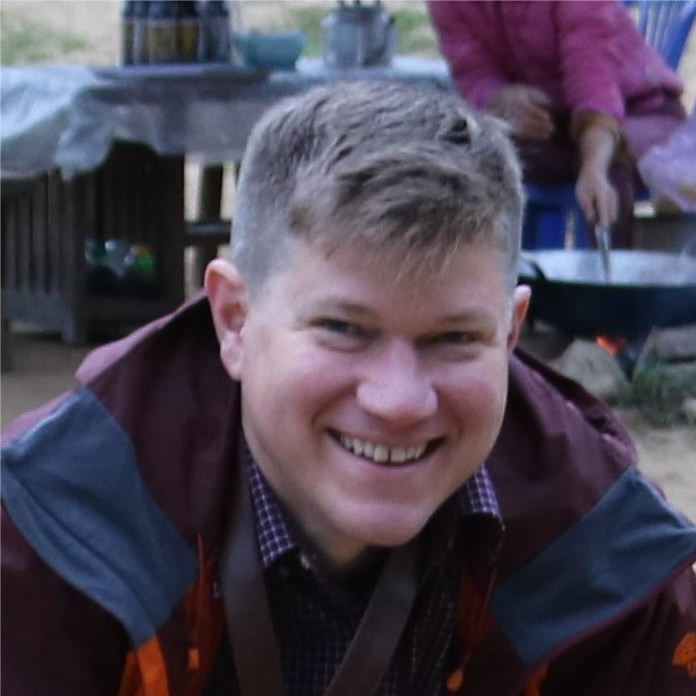 His research interests include undergraduate teaching methodologies, sustainability in food production, climate change adaptation, and geospatial technologies (including sUAVs). He is a fan of all things cephalopod. B.A., German Literature and the Liberal Arts, George Washington University, Washington, D.C.